From Britney to Madonna, Rick Astley to Sisqo and everything in between - on 25th August we'll be reliving the best (and worst) Pop anthems from 70's to now. 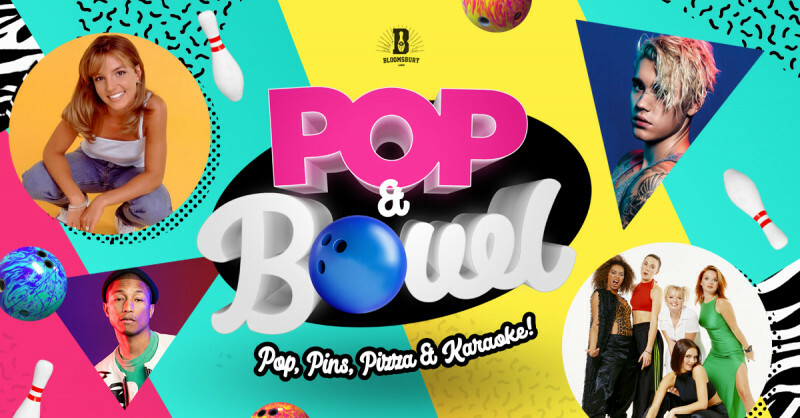 Fancy dress is wholeheartedly encouraged so dust off your boombox, make sure your shoulders pads make and appearance and come and join us for Pop & Bowl! *Bowling, Pizza Cocktails, Beers and Karaoke are all additional costs, to book a lane or karaoke room please get in touch.